Dress up your planner with this set that is perfect for everday happenings. 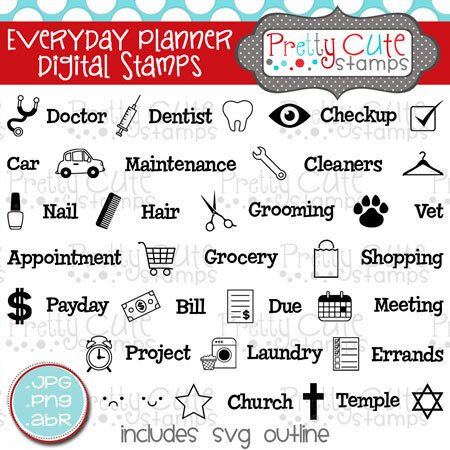 This DIGITAL set of 48 stamps features a all sorts of planner icons with words to go along with them. This is a REBOOT of a sold out clear stamp set. The clear stamp set will not be restocked.